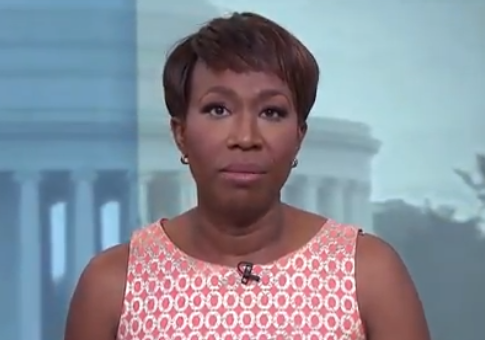 MSNBC host Joy Reid's old blog, which came under scrutiny for controversial posts last month, also spread notorious 9/11 conspiracy theories. "I might have posted this before, but there's an updated version of a documentary now called "Loose Change 9/11," Reid posted in a March 22, 2006 blog post archived by Web Archive and discovered by BuzzFeed. "The fundamental question is: do you believe the official story of 9/11? If you do, great. If you don't, then everything that happened after that is called into serious question," she wrote. "Even if you're agnostic, or you tend to believe that al-Qaida attacked the World Trade Center and Pentagon and that the government had no warning such a thing could happen, it's worth taking a second look." "Loose Change" is an infamous YouTube video claiming the Bush administration was responsible for the Sept. 11 attacks. Among its wackier claims is that the Pentagon was actually hit with a missile and the World Trade Center buildings were taken down by controlled demolition instead of planes. In another post flagged by BuzzFeed, Reid also floated other 9/11 conspiracy theories. "There still are other questions about the attacks that have never been answered (how and why did WTC 7, which wasn't hit by an aircraft, collapse?)" she asked. "Somehow I think it will be a generation before we get the full story on what happened on 9/11?" she concluded. The posts come after reporters discovered homophobic and anti-Muslim posts on the blog. Reid originally insisted the material was added by hackers, but she could produce no evidence of the hacking. Eventually Reid "apologized" for the blog material, while still refusing to admit she was the author. "I genuinely do not believe I wrote those hateful things because they are completely alien to me, but I can definitely understand based on things I have tweeted and I have written in the past why some people don't believe me," Reid said. "I have not been exempt from being dumb or cruel or hurtful to the very people I want to advocate for. I own that. I get it. And for that I am truly, truly sorry."